Our marketing team visits a number of international trade shows every month and we have compiled a checklist so you can get maximium benefit from your visits. 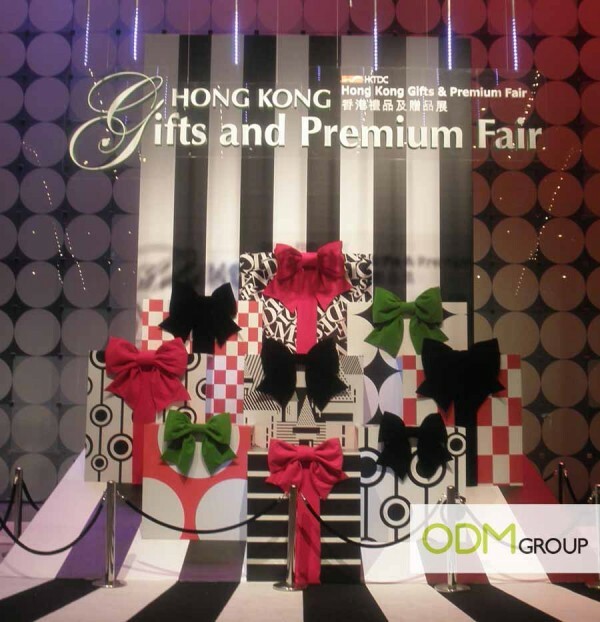 ODM is located right next to the Wanchai trade show & exhibition center. Here are our 5 tips. First of all, whatever the country or the market there are usually trade shows for every kind of product category. Your first step will be to decide which trade shows you will visit and how long you will spend visiting them. Find out where your clients, suppliers and competitors are going and be sure to evaluate. Think about opening up new markets and trailblazing though. This can be the most fun. Once you’ve selected the trade show you want to visit, you will need to prepare to optimise the time you spend. We suggest you to have a look at this checklist to be sure you don’t forget anything. Badge: it seems obvious but it’s very important to get your badge in advance to avoid wasting time on D-Day (you can usually apply for your badge online). Bag: you will get a lot of catalogue/samples during your visit, it’s very important to keep everything. I keep a trade show bag & trade show trolley bag in the office. Depending on how many catalogues we expect to take, we choose the bag. We suggest you to use a small trolley bag. If you don’t have any bag, look around and try to find the booth that is giving away shopping bags (there is always one…). 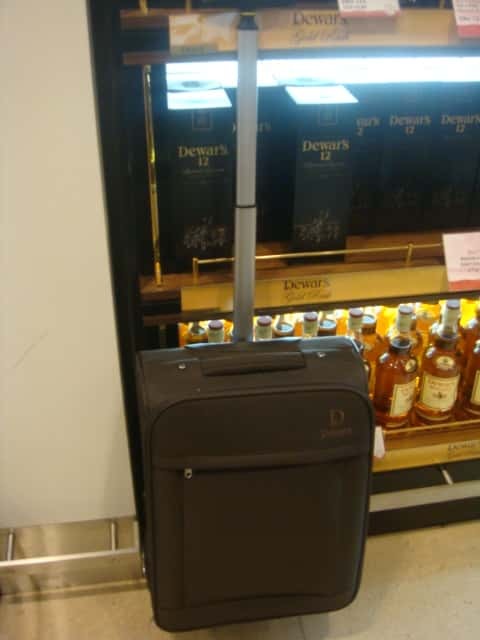 Other option to get a bag is to get one directly from the duty free shops in the airport (Whiskey brands are always offering bags as a gift with purchase). Camera: you will probably see a lot of interesting items during your visit. In order to be sure that you remember everything, we strongly recommend you to bring a camera (or use your smartphone) to take as many pictures as you can. ODM also takes a lot of videos of cool promotional items when pictures are not clear enough (this dancing hat is probably one of the best example). We usually take videos while walking through the halls. If you need to do so, remember to hold your camera/phone horizontally. This way your video will match the 16/9 (wide screen) standard. If you walk while filming we suggest you to make smooth movements as much as you can. Steps can make your video very unwatchable! Check out videos of trade shows we’ve visited in the past. Notebook with a pen: the notebook will be very useful to number and write some comments about the pictures you’ve just. You can also staple some business cards on it or the booth number, just to remember. Some companies will give out promotional notebooks on their booths. Maybe you will be lucky and find one, or at least get a free pen. Namecards: as a general rule, remember that you will have to give a namecard to get a catalogue. We suggest you to bring at least 30 business cards with you for every day of trade show. Another smart option is to create a custom stamp with your details on it. Time will be your worst enemy during your visit. If you plan to visit a big international fair in one day, or if you stay 3 days, your “strategy” will not be the same. If you only have one day to spend at a fair, then you better check the list of exhibitors before (or use the search engines on the organiser website) to know exactly which booth you absolutely want to visit. We suggest you to visit them early in the morning. This way, you have the full day to walk around the different halls and maybe find some other interesting ideas. If you can spend 2 days or more at the trade show, we suggest you to walk through all the booths very quickly the first day to have a good overview of the products exhibited. We suggest you to simply write the booth numbers of the products you’re interested in and come back the day after to spend more time on each selected booth. It allows you to keep the control of your time as you know how many booth you will have to visit the second day so you know how long you can stay on each ones. checking out the list of seminars and attending at least 1 that might interest you. socialising with suppliers, clients & competitors (though not all at same time). Apart from the products and services, trade shows are an invaluable arena for social interaction. Make the most of this chance to meet your industry peers and strike up some friendships. There are a few things that you’ll still have to do the day after a trade show. First of all, it’s critical to enter all your potential prospects/suppliers into an Excel file or your preferred CRM system to be sure you will not forget to contact them. The second thing to do is to import all your pictures/videos on your computer. We suggest you to have an Excel file listing all these documents with comments, contact details, etc. If you are visiting a Promotional Product trade show, then we suggest pinning all the pictures on Pinterest wall like we do. Flickr and other programmes work well too. Tie this Pinterest Wall to a file with supplier details and get rid of the paper – we hate it when paper fills our office.